Center of Hope ( IT Center ) is very happy to share the life-changing experience of student Miss. Snehal Kshetre. Snehal belongs to a common middle-class family. She was studying in HSC but couldn’t get success in her education. 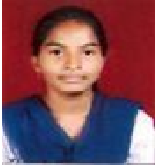 Snehal’s parents became very disappointed about her educational life and she was disappointed about herself too. One day she heard about Snehalaya’s IT Centre from her friend and she joined MS-CIT computer course. She took a computer course & Personality Development (PD) from IT Center. Snehal was a dedicated student. She regularly attended her computer batches and she got success in Governments Examination with first class. After completion of the course, IT Center gave placement to her to Rozmera Technology Pvt. Ltd placed at Ahmednagar city. Now Snehal is happy with her life and financial support given to her family.